The four-season destination of Benzie County has a lot to offer residents and visitors alike from golfing, hiking, and biking, to mushroom hunting, bird watching, and fun events amid a natural environment fit for exploration. “We are so excited about everything that’s happening this spring in Benzie County,” reports Mary Carroll, president of Make It Benzie, a nonprofit specializing in tourism and hospitality marketing for the region in northwestern Michigan. As the weather warms, it is also an area ready to welcome golfers back to the region with its award-winning courses and area fairway destinations, such as Champion Hill Golf Course, Crystal Lake Golf Club, and Pinecroft Golf Course in Beulah, Michigan; and the dynamic duo of Mountain Ridge and Betsie Valley at Crystal Mountain Resort in Thompsonville, Michigan. 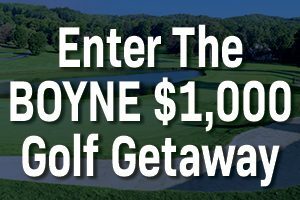 On April 20, Crystal Mountain is presenting the Crystal Classic Golf Tournament, which is a four-person scramble comprising 18 holes of golf with cart, two beverage tickets, and food. The event is about $60 per person and starts at 12:00 p.m., with reservations required. Prizes are anticipated to be awarded for men, women, and mixed-group divisions. The resort also features a 30-acre preserve art park within its grounds known as the Michigan Legacy Art Park with more than 50 sculptures, poetry stones, natural woods, and spectacular views. The beginning of April also means biking and hiking pick up in Benzie County with its more than 100 miles of trail system. While out, discover the more than 100 species of birds that migrate in the spring to—and through—the region; and keep an eye out for woodland wildflowers in bloom. Bikers can explore The Betsie Valley Trail, which has paved and hard aggregate surfaces. The trail runs along an old railway route for 22 miles from Frankfort to Thompsonville with restaurants in Beulah and more along the way. Another trail to explore is The Betsie River Pathway, which winds through the Pere Marquette National Forest. The Lake Ann Pathway is another six-mile trip through forest trail with view of lakes, bogs, and the Platte River. Mushroom hunting for morels comes alive from late-April through May. Check out Make It Benzie’s morel mushroom hunting guide for tips on how to hunt and find mushrooms. By the end of May, other outdoor events range from the Crystal Cup Golf Tournament, and the Michigan Beer & Brat Festival, to Micros on the Mountain, and the North Mitten Half Marathon, 10k and 5k. The region, which also offers breathtaking sunsets along the Lake Michigan shoreline, is a place for adventure, discovery, and entertainment. 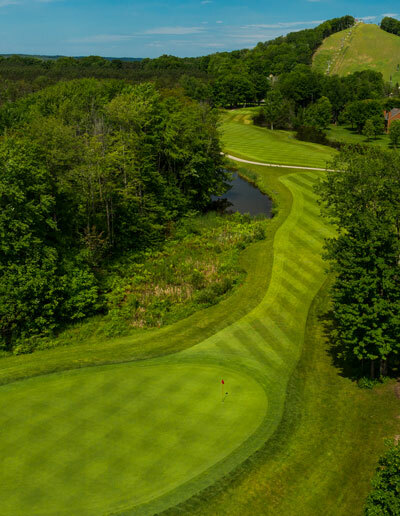 From seasonal activities and events, to award-winning wineries, distilleries, and breweries, Benzie County is a recreation, shopping, and dining hub in northwestern Michigan—and a place where the tee calls for the open fairway.